I live for the simple things in life. My food is no different. 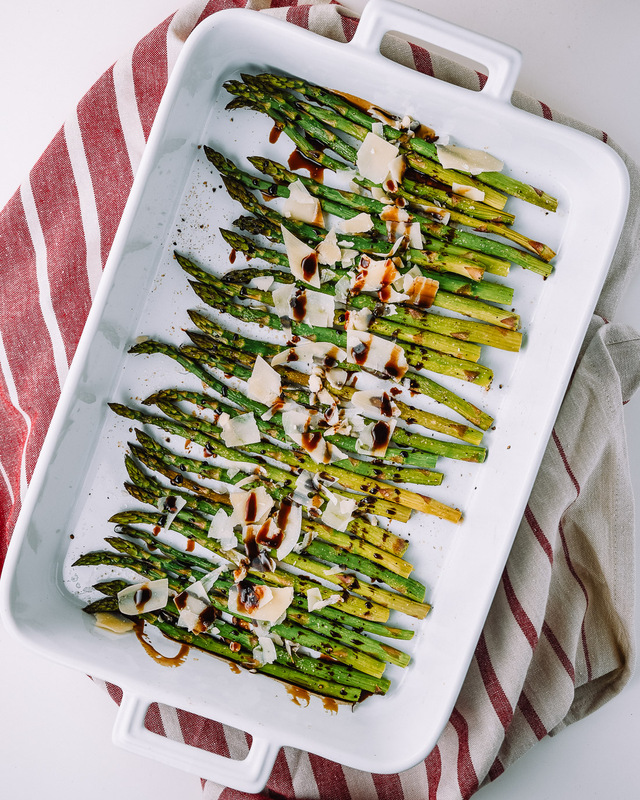 That’s why Im sharing this super easy recipe for asparagus drizzle with a balsamic glaze and parmesan cheese flakes. I promise you’ll like it! 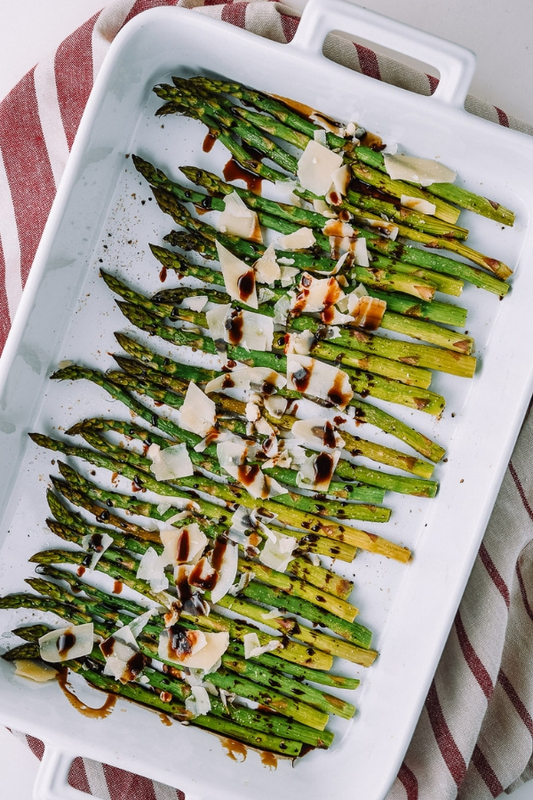 Have you ever had asparagus and it had that asparagus-y taste, it’s not the best. 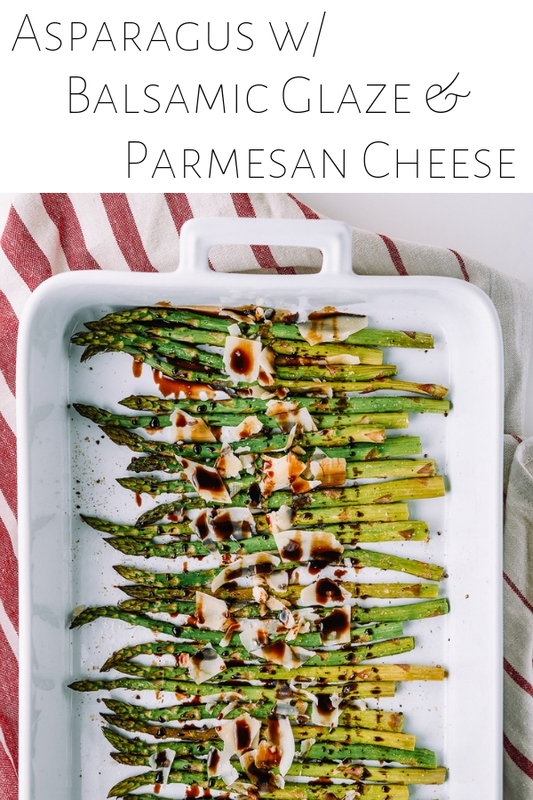 Spreading balsamic glaze on top with cheese takes basic side dish to a new level with only 3 extra ingredients. Start by pre heating the oven to 400 degrees. While oven pre heats add honey and balsamic vinaigrette in medium saucepan over medium heat. Once the mixture starts to boil, turn heat down to a simmer and continue to cook for 5 minutes. Then remove pan from heat and allow to cool. Prep the asparagus by cutting the stems off and rinsing. Drizzle in olive oil, salt, and pepper. Toss and add to baking sheet to pan. Cook in oven for 10 minutes or until tender and crips. Remove baking sheet/pan from oven. 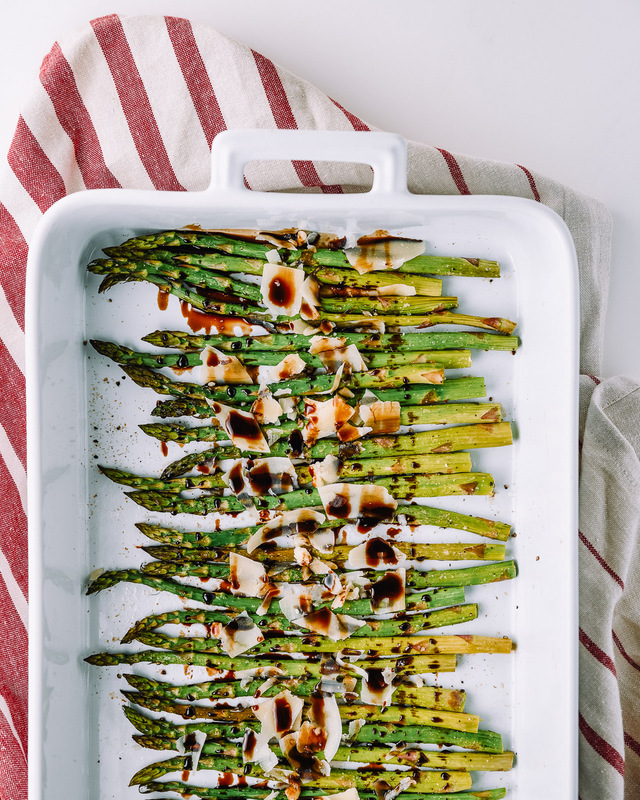 Sprinkle parmesan flakes and drizzle balsamic glaze over asparagus. Enjoy! Pre heat the oven to 400 degrees. While oven pre heats add honey and balsamic vinaigrette in medium saucepan over medium heat. Once the mixture starts to boil, turn heat down to a simmer and continue to cook for 5 minutes. Then remove pan from heat and allow to cool. 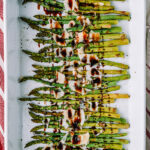 Prep the asparagus by cutting the stems off and rinsing. Drizzle in olive oil, salt, and pepper. Toss and add to baking sheet to pan. Cook in oven for 10 minutes or until tender and crisp. To make vegan use brown sugar instead of honey and drop the cheese. Nutrition yeast is a good cheese substitute. 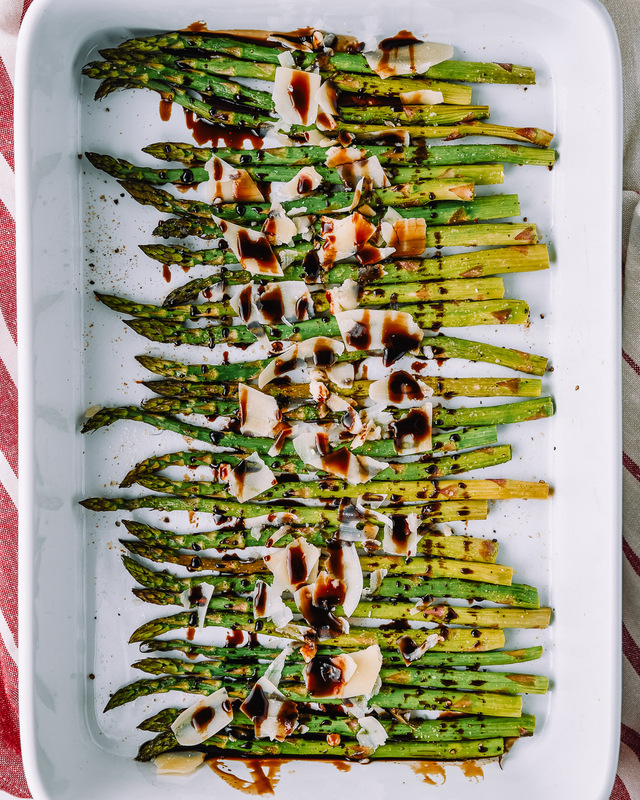 Over cooking the balsamic vinaigrette will cause your glaze to become hard when cooled.